As we journey further into 2019, the hustle and bustle of the holidays makes its way into our rear-view. But that’s not the only thing that may be best left in the past. 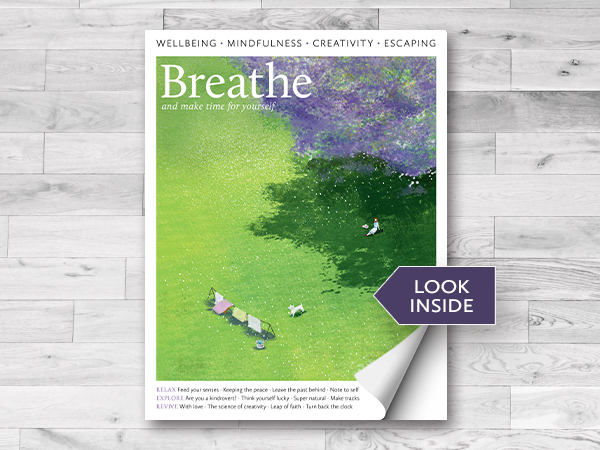 In this issue of Breathe, we implore you to venture into the year with new perspective on past memories, both those you recall with a smile as well as those that pain you, by learning to decode your former years and make the most of the here and now. Easier said than done, we know, but perhaps writing your thoughts down in a journal could help? We’ve got you covered, with tips on keeping a notebook and the benefits of writing and creativity. While you’re feeling inspired, why not try your hand at a new hobby or activity? Learn to make your own butter (it’s easier than you think, with only one ingredient needed), get jumpy with the latest exercise trend ‘rebounding’, or even hop on board the romance, escapism and mindfulness of train travel. It’s your time to discover who you are and want to be in 2019. Our team hopes you find motivation and inspiration within the pages of this issue. Happy reading!